SEUM advised Daewoong Pharmaceutical Co., Ltd., a Korean pharmaceutical company in its establishment of a joint venture company with Korea’s leading internet portal company Naver Corporation. SEUM advised the shareholders of premium toothpaste maker Rucipello Korea with respect to their sale of shares to LG Household & Healthcare (“LGH”), the consumer goods affiliate of LG Electronics. SEUM’s international legal alliance, TAGLaw®, has again been recognized by Chambers & Partners as “Elite” for 2019—the highest ranking awarded to legal networks and alliances. 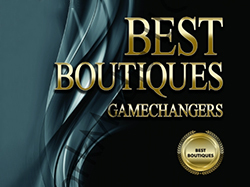 This is the sixth time TAGLaw has received the distinguished “Elite” designation since Chambers & Partners began ranking legal networks and alliances in 2013. SEUM had another strong year in M&A during 2018! We are in the top 5 of The Bell’s League Table 2018 for Korea merger transactions(completed) and top 6 of Bloomberg’s League Table 2018 for South Korea M&A (by announced deal count). 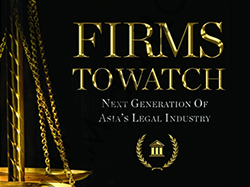 The Legal Times, a leading monthly magazine based in Seoul focusing on the legal industry, featured SEUM in their special 11th anniversary Issue dated November 14, 2018. 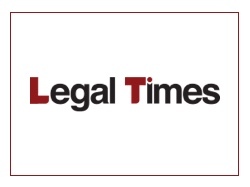 The article discussing SEUM and its highly regarded startup practice is titled “Our Law Firm in 2018 – “Leading Law Firm for Startups” SEUM” (2018 올해 우리 로펌은…’스타트업 자문 1호’ 세움 in Korea). SEUM advised NAVER Corporation, Korea’s leading internet portal and mobile company, in connection with Naver’s recent contribution of KRW 99 billion (~USD 88 million) into a 100 billion won venture capital fund devoted to fostering and investing in startups. The SEUM team was comprised of managing partner Hoseok Jung and corporate partner Hyemi Kang; as well as associate Jaewoo Sim. 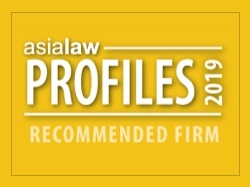 SEUM has been selected as a “Recommended Firm” in Korea in the area of Technology and Telecommunications, in Asialaw Profiles 2019: The Guide to Asia-Pacific's Leading Domestic and Regional Law Firms. 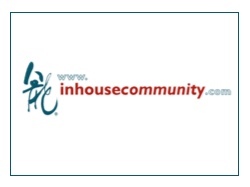 SEUM represented Huiseoul, a cosmetics e-commerce company, with respect to the initial coin offering (ICO) of its proprietary cryptographic tokens (ticker symbol COSM). 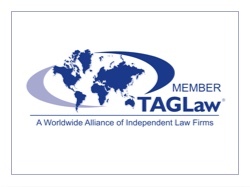 In connection with its expanding international practice, SEUM has been accepted as a member of TAGLaw, a worldwide alliance of more than 155 independent law firms with offices in over 90 countries that provides a full range of legal services to clients all over the world. SEUM advised Linewalks with respect to its recent funding round through which it raised KRW 1.9 Billion from Kakao Investment. The SEUM team was comprised of partner Hoseok Jung; and associates Bomi Seo and Jaewoo Sim. SEUM recently advised Cube Intelligence (“CUBE”) with respect to its Initial Coin Offering (“ICO”) of 43.2 million tokens (representing 60% of all tokens issued). The public sale for the CUBE tokens (ticker symbol AUTO), which were also offered for sale by reservation and pre-sale, successfully closed within 24 hours of its launch. On March 28, 2018, as part of its blockchain seminar series, SEUM will host a discussion regarding “Issues Related to Reverse ICOs.” SEUM’s fourth blockchain seminar will be held at the Korea Foundation for Advanced Studies, 18th floor. Managing Partner Hoseok Jung will share insights and thoughts on variety of matters. On November 8, 2018, Managing Partner Hoseok Jung participated in a press conference held by the Korea Bar Association (the "KBA") at the National Assembly Building in Seoul to advocate for the implementation of blockchain legislation. SEUM represented MediBloc, a digital healthcare company, with respect to the sale of its proprietary cryptographic tokens (ticker symbol MED).